A winner on his chasing debut at Southwell in October, Chozen had fallen when looking highly likely to follow up on his next outing the following month, but he made amends on his return from a winter break with a front-running success at Ffos Las yesterday under Alan Johns. The ex-Irish pointer is a talented individual and yesterday’s win was his third from just eight completed starts under rules. 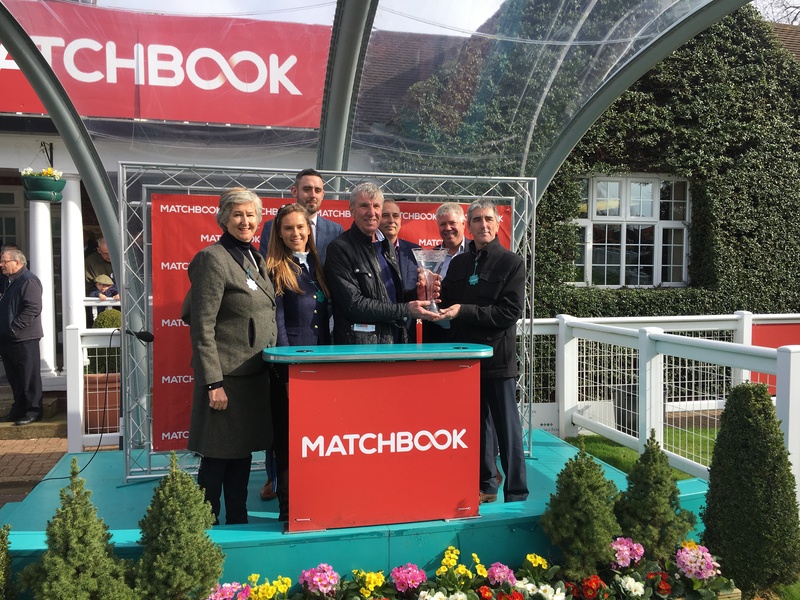 Though the winning margin was just a head at the line, he had travelled strongly and jumped well through the contest and looks capable of making further progress as he gains more experience. He is unlikely to go up much for that and we’ll look for a similar race for him next time. Congratulations to his owner Dave Pearn! 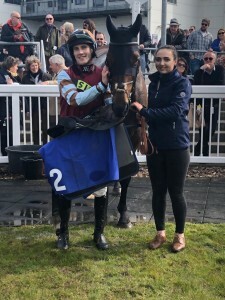 Having been off the track for 18 months prior to returning in December, it has been a pleasure to see Copper Gone West develop into a useful mare this spring, building on her Musselburgh success in February and fine handicap second at Newbury earlier this month with a facile success at Bangor yesterday under Alan Johns. Encountering soft ground for the first time, she always looked to be travelling comfortably and, when Alan sent her into the lead at the third-last, she quickly put distance between herself and her two rivals, galloping on strongly for an 11-length success. She looks to have a good deal more to offer and the well-bred daughter of Westerner is a tremendous prospect to go novice chasing next season. 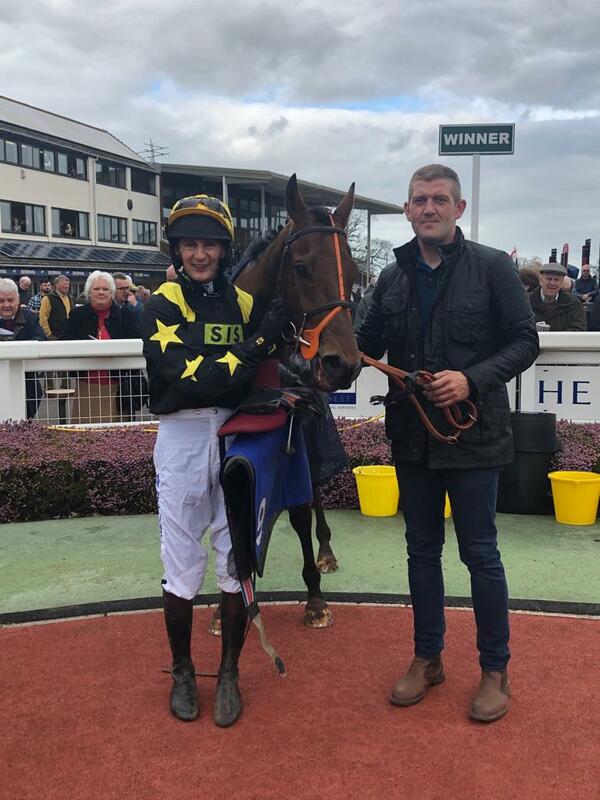 However, we have had the Cheltenham mares’ raceday on Thursday 18th April in mind for her for some time and that remains her target, with options in the Listed novice hurdle and the Listed handicap hurdle. Congratulations to her owners Paul and Louise Bowtell! 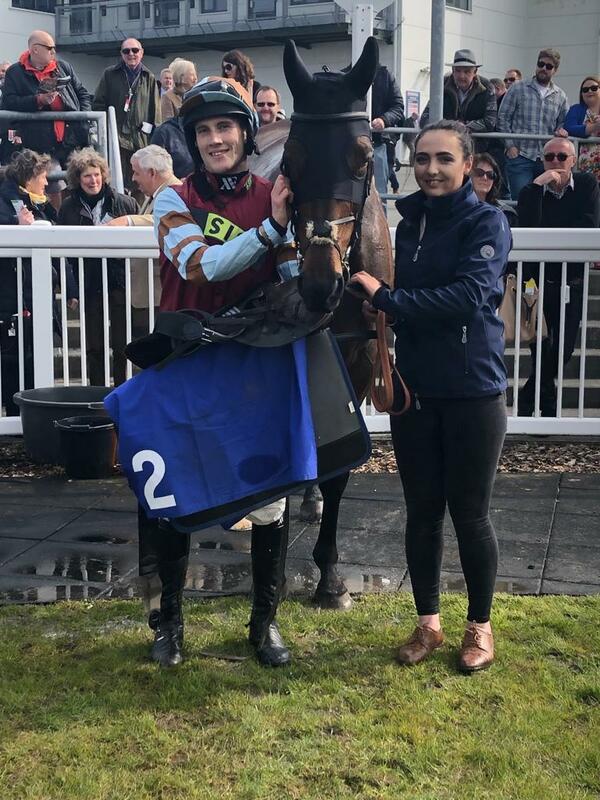 A dual winner on the flat, we had purchased Adherence for just £2,000 at the Doncaster August sale and he made his first start for the yard a winning one when successful at Taunton yesterday. Held up in the early stages, he travelled very well through the race, but still looked to have plenty to do turning into the home straight. However, he responded very well to James Best’s urgings and, despite still having a couple of lengths to find after the last, he stayed on very strongly to get up close home. 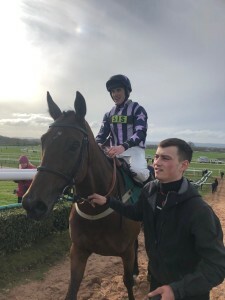 The handicapper is unlikely to be too harsh on him and I am hopeful that he will remain in 0-100 company, which would give him an excellent chance of following up next time, as there should be more to come from him after just six outings over hurdles. Congratulations to his owners, The Bill & Ben Partnership! The team continue in tremendous form and Hazm became our fifth winner in the past week when making a successful debut in the first division of the bumper at Stratford yesterday. A 725,000gns yearling, we picked him up as an unraced three year old at the Horses In Training sale in October for just 2,000gns and he looks an exciting recruit, having travelled powerfully through yesterday’s contest, hitting the front up the home straight and staying on strongly to score under Richard Patrick. 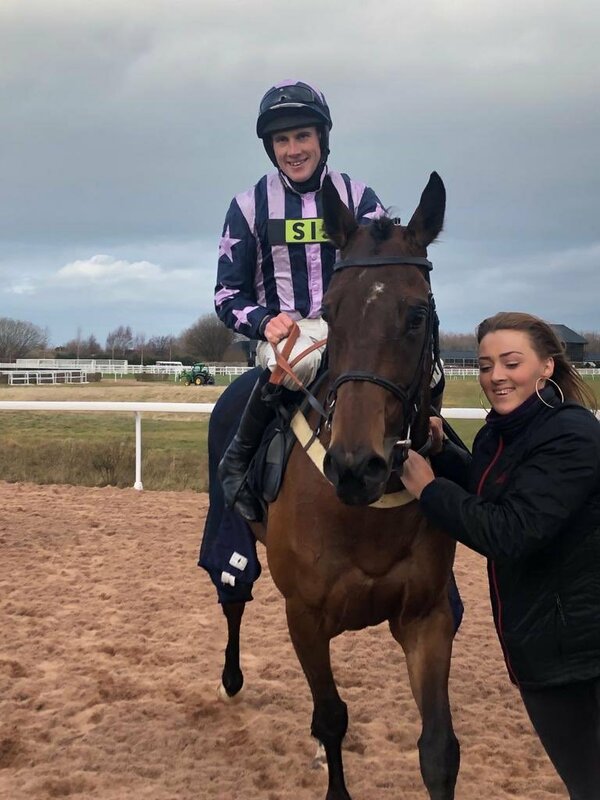 All being well, he will now head to the bumper at Aintree’s Grand National meeting next month and hopefully he can give owner Paul Syson plenty to cheer about there! After a brilliant seven days that had already seen wins for Glimpse Of Gold, Oriental Cross, Debece and Le Milos, Hazm’s success was our 40th of the campaign and hopefully there are plenty more to come before the season is out. 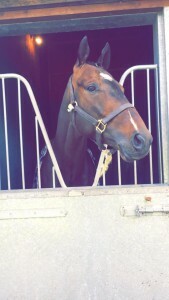 A good fourth on his British debut at Exeter, four year old Le Milos took a big step forwards on his second start for us yesterday, winning the juvenile handicap at Sandown Park under a patient ride from Alan Johns. 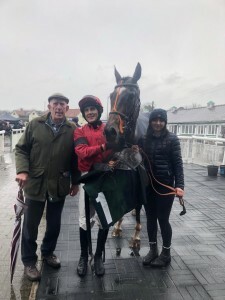 Held up in last, he was on and off the bridle for the majority of the contest, the application of a first-time hood seemingly switching him off, as he had been keen through the race at Exeter. He had plenty of ground to make up turning in, but started passing horses three furlongs from home and kept on strongly to reel in the eventual runner-up and go on to score by four lengths. 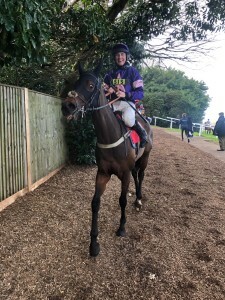 There are two £40,000 handicap hurdles for four year olds in the coming weeks and, whilst Newbury on the 23rd will almost certainly come too quickly, I am hopeful that he could make the one at Ascot on Sunday 31st March. Congratulations to his owners Bovian Racing! 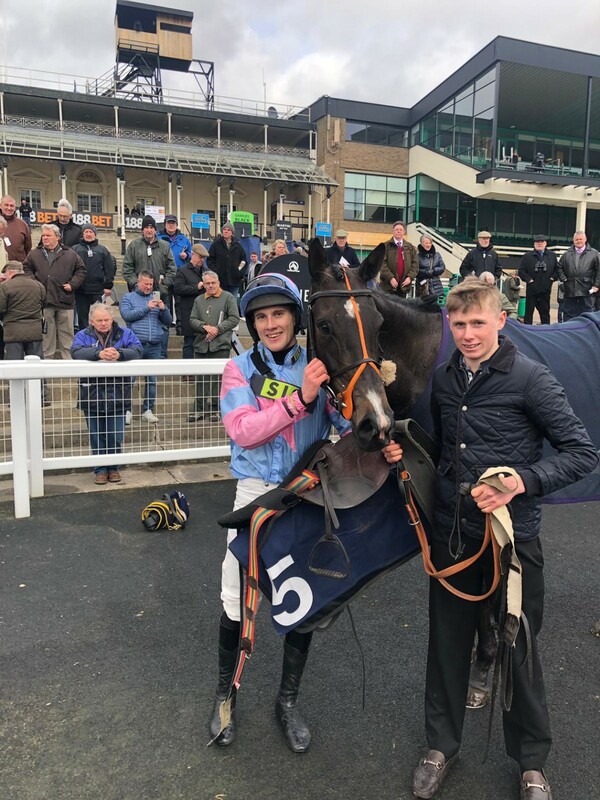 A winner on his previous start at Newcastle in January, Debece was a warm order to supplement that success at Catterick yesterday and he duly did so with the minimum of fuss, coming home a distance clear, his closest market rival having departed at the third-last fence. Third in the Grade 1 Sefton Hurdle at Aintree’s Grand National meeting in 2017, he finished fourth in the handicap hurdle there last year on the back of an interrupted preparation. However, he has now had three runs over fences, winning twice, and I am very hopeful that we’ll be able to go there in tip-top shape this year, with the 3m1f Grade 3 Handicap Chase (a race we won with Saint Are back in 2012 when it was a Listed handicap) the target. Congratulations to his owner Robert Kirkland! 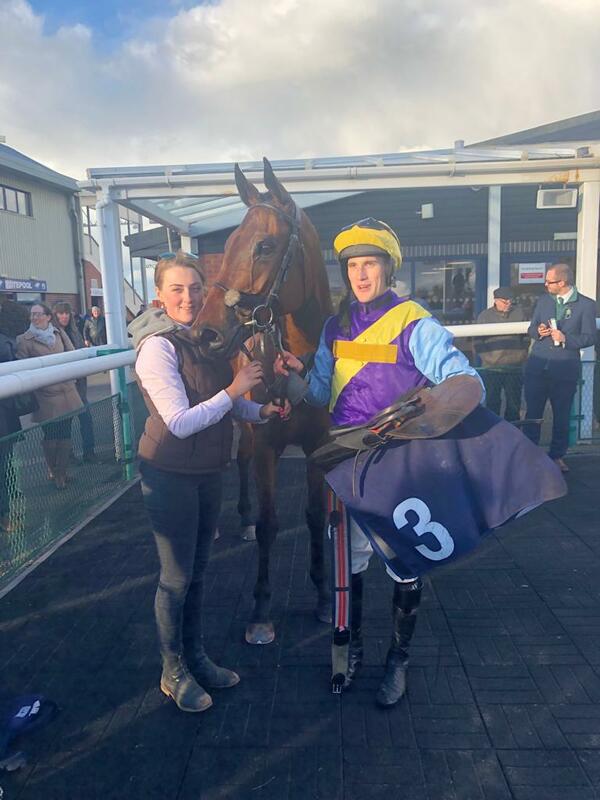 A bumper winner last season for her previous connections, Oriental Cross has taken a little time to get to grips with hurdling, but took a significant step forwards yesterday when winning a big-field novice handicap hurdle at Newcastle. She travelled powerfully through the race and looked to be going best turning in, but she just looked a little green when coming under pressure and a couple of mistakes over the last two flights meant she had a tough task to reel in the eventual runner-up. However, she responded really willingly to Alan’s urgings to win by a neck. She is very much a work in progress, having had just eight starts to date, and hopefully there is a good deal more to come from her. Congratulations to her owners John Durston and Nigel Harris! 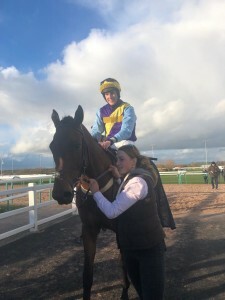 At his best over 2m on good ground, Glimpse Of Gold had his ideal conditions at Southwell yesterday and duly took full advantage of the drop to selling grade, winning very easily in the hands of Alan Johns. Travelling noticeably well throughout, he was still on the bridle turning for home and Alan barely had to move on him as the pair drew clear up the straight. It must be said that it was a particularly weak contest and we’ll now have to hope that the handicapper isn’t too hard on him! Congratulations to his owners in The Craftsmen partnership! 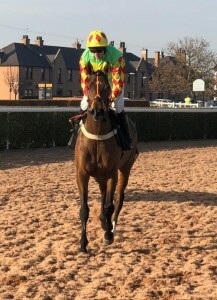 A good third on his debut for us at Huntingdon just ten days ago, Landsman stepped up on that effort with a fine front-running performance to win impressively at Musselburgh yesterday under Alan Johns. Sent straight into the lead, he raced enthusiastically and jumped fluently throughout. He had most of his rivals off the bridle before the home straight and kept on strongly to record a facile success. 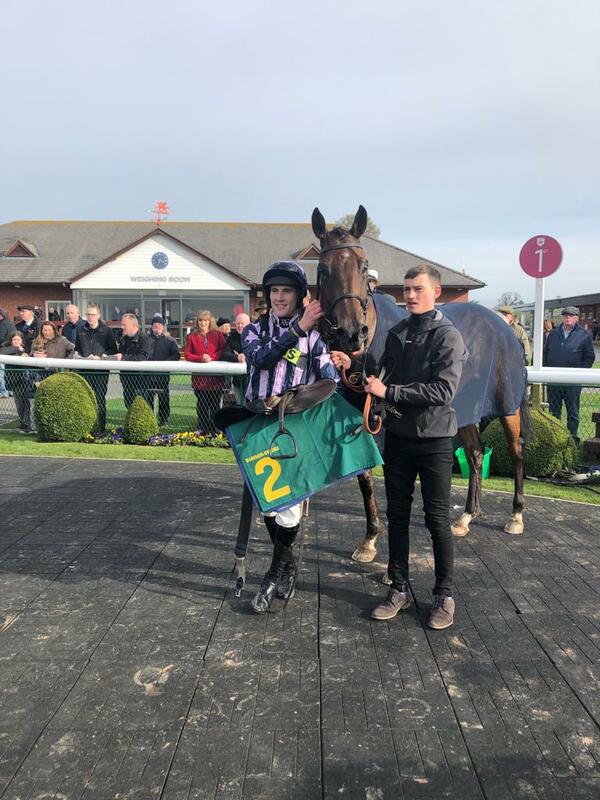 The six year old was a useful performer on the flat in Ireland prior to being purchased at the Tattersalls Horses in Training Sale in October and looks to have a very bright future over timber. He’ll have another run in novice company, but looking ahead looks the ideal type to run in some of the valuable handicap hurdles this summer. Congratulations to his owner David Fox! 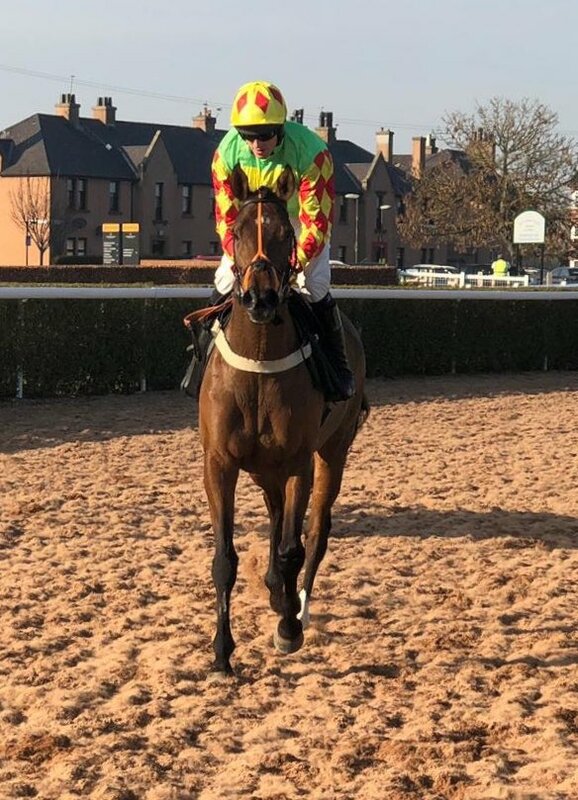 After a week off due to an outbreak of equine influenza, it was fantastic to be back racing and even better to return with a winner, Copper Gone West making it third time lucky with a comfortable success in the mares’ maiden hurdle at Musselburgh yesterday under Alan Johns. The daughter of Westerner had won her sole start in an Irish point in 2017, but was held back by an injury last term. 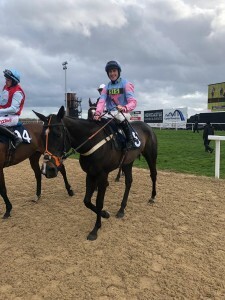 Thankfully, she is clearly going the right way now, as she readily got the better of a mare with strong novice form yesterday, taking a lead until the second-last, at which point she was sent for home, galloping on strongly for a four-length success. I am confident there is a good deal more to come from her and she is crying out for three miles, but we may look to give her another run in similar company next time at 2m4f-2m6f, before stepping up in trip from there. 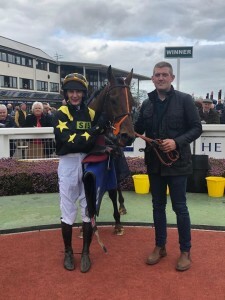 I am delighted for her owners Paul and Louise Bowtell and hopefully she can go on to further success in the near future!